ADAPTIL® for Dogs Scared of Fireworks + Giveaway! I hope your dog isn’t afraid of fireworks or thunderstorms, but unfortunately this is a common problem this time of year. If your dog has a fear of fireworks or thunder, one product that can help is called ADAPTIL® for Dogs. 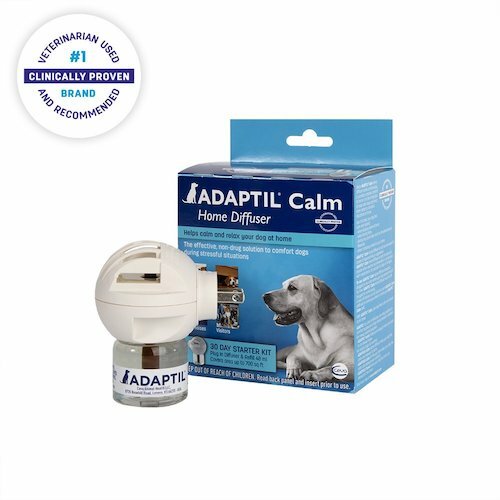 ADAPTIL® is designed to reduce a dog’s anxiety using dog appeasing pheromones. 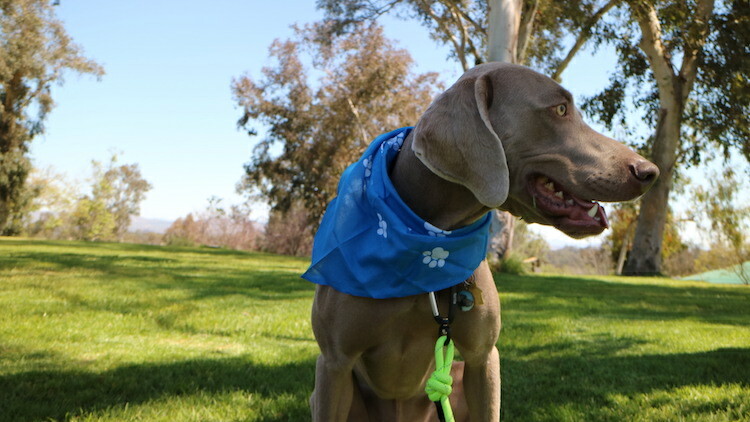 The product can help your dog feel safe in stressful or scary situations. 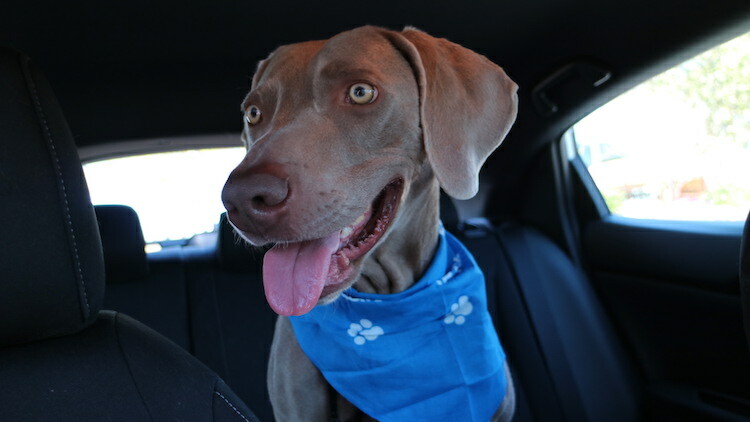 I’m thankful my weimaraner Remy does not seem to be scared of fireworks or other loud noises, but I also know the Fourth of July and other holidays cause a lot of stress and anxiety for some dogs and therefore their owners! This post is sponsored by Ceva Animal Health. 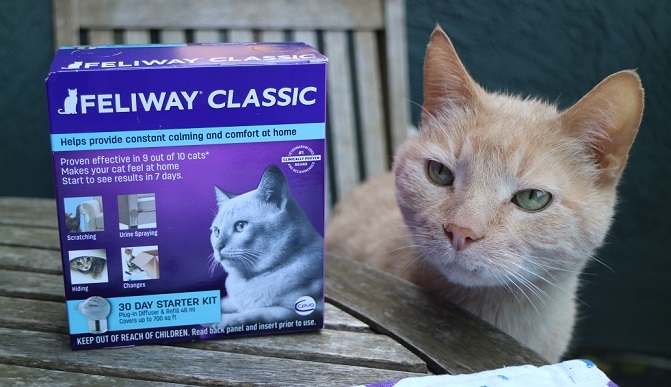 Ceva is the maker of ADAPTIL® and a similar product for cats called FELIWAY® for Cats. ADAPTIL® mimics the natural dog appeasing pheromone dogs know from birth. It can help them feel safe and secure in their environment during stressful situations. These odorless messages are only perceived by dogs. They work outside the body and can affect the behavior of others of its species. You can learn more about ADAPTIL® on its website here. It is available through various veterinarians’ offices, PetSmart and Amazon (aff links above). A prescription is not required. 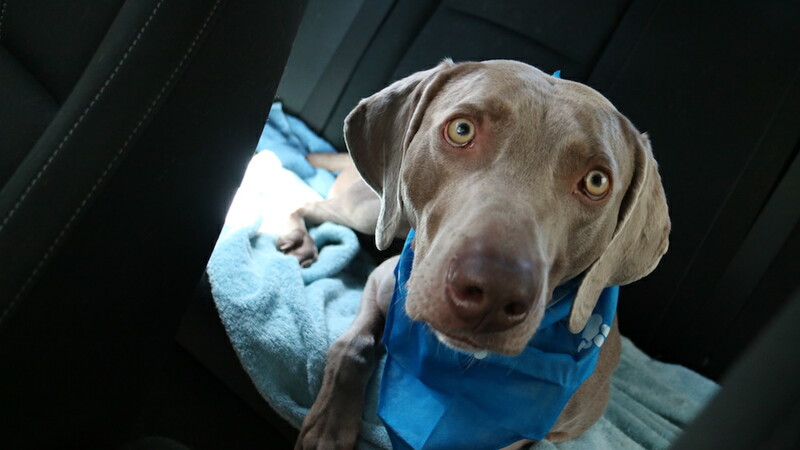 ADAPTIL® is designed to help dogs feel more secure and should reduce or stop stress-related behaviors. Every dog is different and some dogs show more extreme signs of fear or stress than others. 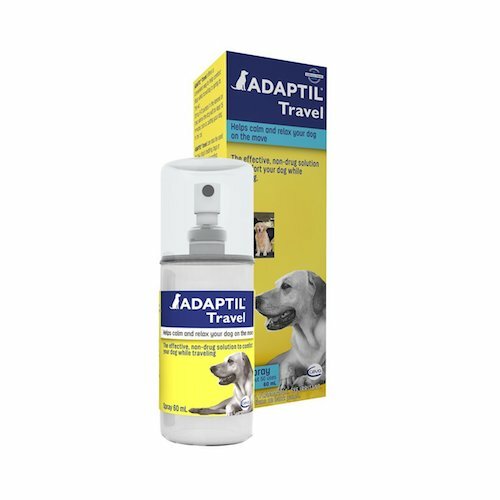 ADAPTIL®: Try the ADAPTIL® Travel Spray (pictured below) or the ADAPTIL® Calm Home Diffuser for your dog. The spray can be applied directly to their bedding or to a bandana. The diffuser can be set up in a room where your dog normally spends his time such as next to his dog bed or a kennel/crate. Plenty of exercise. This is not going to remove your dog’s fear but the less pent-up energy he has, the easier it will be for him to relax. See my post: dog exercise tips. Food-dispensing toys. Give your dog a high-value chew toy or bone such as a Kong stuffed with peanut butter and frozen or a large bully stick. Some dogs will not accept these kinds of treats if they are scared but for others it can be a good distraction. Safe/secure place to hide. I recommend you stay home with your dog if you know there will be fireworks. 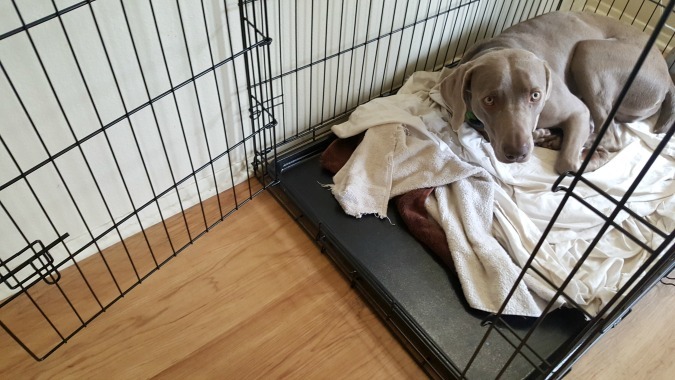 Provide him with a safe, secure place to hide out such as a dog bed in the corner of a central room or a kennel/crate if he normally feels safe there. Background noise: Sometimes it can help to provide some background noise or “white noise” such as an air conditioner or a loud fan, music or a TV. We often hear about dogs showing a fear of fireworks, but cats can also be scared of the noise. You do not hear of cats being afraid of fireworks nearly as often as dogs, and that’s probably because cats don’t show such obvious signs. They might hide out in a quiet corner of the house vs. running around barking and panting. My cat Scout is a sensitive guy! 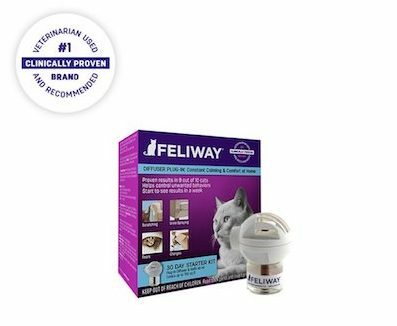 FELIWAY® helps sensitive cats who are scared of loud noises. The product mimics the natural cat facial pheromone used by cats to mark their territory as safe, according to Ceva. 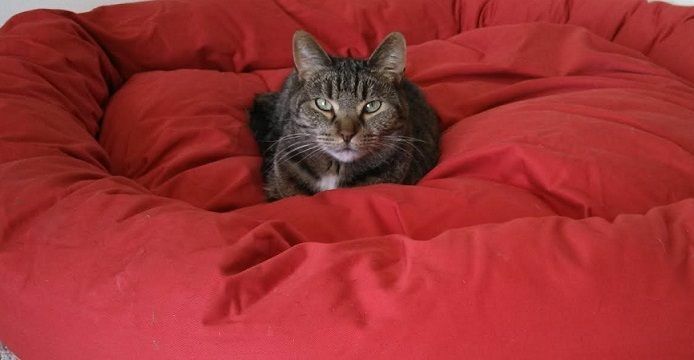 For this reason, it can help cats feel more secure when dealing with stress. Some cat owners use FELIWAY® CLASSIC when traveling or moving with their cats or if they add a second cat to the family (See FELIWAY® MultiCat). A picture of Beamer because we miss him! UPDATE: This giveaway has ended. Congrats to Christina M. and Sara. 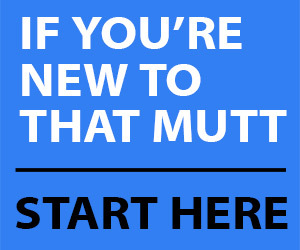 Ceva Animal Health is giving away a sample of ADAPTIL® or FELIWAY® to two readers of That Mutt. To enter, all you have to do is leave a comment below to let me know why your pet could benefit from these products. 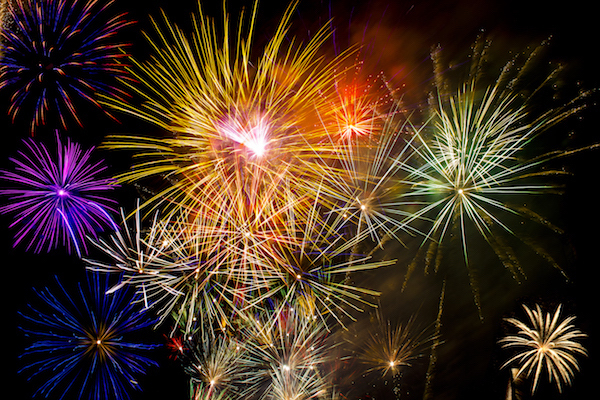 Is your dog or cat afraid of fireworks? The winners will get to choose if they want the dog or cat version and which product they would like to try (diffuser, spray, etc.). Must have a U.S. mailing address to win. On Thursday June 21, I’ll choose two winners at random. I’ll notify the winners by email first and then announce them here. Please share this post with anyone who could benefit from ADAPTIL®. Thank you! Have had our current Lab mix, Sava, for 8 years now and every year we dread the 4th of July holiday season. It is very unnerving to see a 135 lb.sweet dog literally shake at the first sound of the firework noises. Have tried several different things, but nothing really has worked in the past. Will need to try the Adaptil this year to see if it makes a difference. This article was amazing. It came at the perfect time. Saturday, Dawg and I were cleaning up the yard mess and a thunderstorm came in so quickly. The very first lightning hit and he was so close to me and burying his head in my arm. He would not leave my side. (little wimp)! Maybe this will help him. One of our friends has been using this collar for her small dog and told me it works wonder. Hopefully the big dog like mine can benefit from it too! Good to hear! So glad it helped your friend’s dog. We have had a lot of wind lately, which creates all kinds of noises that scare Penelope. This usually means the end of our walk as all she can think about is getting home. Maybe this product would help. My Honey has always been fearful, as she gets older it’s getting worse. We have monsoon season here in northern Arizona which I dread. I have to put her In a crate with nothing else or she’ll rip it to shreds. I turn on the radio and pull the black out curtains. My dogs are raw fed and walked off leash pretty much daily and she and another dog practice agility, obedience and tricks daily, we play tug and keep away and hide and seek, you just never know when a game will break out! My dog is afraid of fireworks and thunder. I would love to be a winner. My sheltie gets very upset at fireworks and Thunder storm because of my neighbors shoot off fire works for 5 hrs. We always stay home on 4th of July with our Astro.Even though our town bands fireworks, they have already started going off at bite. They will get more and more leading up to the big day.I will try this rite away.I’ve been using doggie downers, but they change him but I hate to see him scared. I would love to try this. Our terrier mix Nutty gets so upset by fireworks and thunder, he seems to actually get angry as the noises drive him crazy. I put on all our tvs and radios and carry him around the house with me while he is wearing his thundershirt but he still gets soo upset. I loved the 4th until I adopted dogs. One of mine goes crazy every year when they set them off barking and whining and running from room to room. I stay home and turn up the tv really loud. Thinking this may be the year to try drugs but I’d love to try this and see if it helps. O my!I would love to try this with Rico, a 2 year old lab/what pei mix who is so anxious about fireworks and any other loud noise. Vet tried anti anxiety meds last year and it didn’t help at all. My poor boy gets so anxious he shakes, cries, pants horribly and tries to crawl under furniture to get away from all the sounds! What can I do to help him?? I have a chihuahua who is very afraid of thunderstorms she does many of the things you mentioned in your post. I hate she gets so scared. I also have a dachshund that whines and makes travel miserable for the humans. I would like to try this and hope it would make a difference in my pets. I have a german shepard/Stafford terrier mix as she gets older ( shes 9 now)light unexpected sounds and noises really scare her. I live in New York City and this is a regular occurrence on her walk. It really hurts me to see her afraid. I’m going to try this, anything I can do to make her quality of life healthy and happy. Very curious to see if this works. Would be a great recommendation for some of my clients. Just put my grandpups on Trazadone to help with transitioning back to stay with his owner (my daughter lol). Would much more appreciate a more natural solution. This seems like a great product and I have heard amazing reviews! I stay up with my little pup when it storms at night – I’ve tried a thunder shirt and essential oils – it would be great to find something that actually helps! Our Annie is an Aussie/Border Collie mix who shakes violently when ever there is a storm because she is afraid there will be thunder and lightening that will happen too. The fourth of July is also terrifying to her. She shakes so badly. I have also tries a thunder shirt and calming oils and herbs. I would love to try Adaptil to calm her. My dog isn’t afraid of fireworks (that I know of). This will be his first summer, so I’m sure we’ll be finding out here soon enough. A problem we do have is my poor pup has bad separation anxiety. All the symptoms of anxiety/panic that you list in your blog post are all the things I’ve seen him experience when he thinks I’m leaving him (or when I put him in our living room kennel). 🙁 So I definitely feel like something like this would benefit the both of us! Even if I don’t manage to win the giveaway, I’m going to look into buying this for my pupper. Just finished pet sitting job with huge white Shepherd who was phobic. Poor thing. Poor pet sitter too. Stood over me in bed panting, all night. Clawed to get behind couch. Salivating, panting, hyperactive. Petting did not alleviate. Finally passed out when storms ended early morning. Dog, not pet sitter passed out. But I could have! I have adopted a dog that has separation anxiety. I have try the Adaptil diffuser. He seems to be calmer today. I left two different treat dispenser to keep him busy also. I would like to try the collar when we go to agility class. I don’t know how he will react to the fireworks. my girls have become scared of storms, lightening, etc. when they were younger it did not matter to them. i asked my vet about this and she said sometimes as dogs age, just like humans things change, they can become scared of things that used to not bother them. as soon as the storms start, the thunder, hard rain, wind, they race to mom to hold them, or they run and hide under the bed. such scarty cats.my oldest does not like going to the vet, she is okay in the car but as soon as we get the room and the vet comes in, she tries to hide. however, she is fine during the examination, no biting, twitching, etc. they shake, sometimes wine, and try to hide. We would love to have some of this for Fourth of July! I would Love to win this for our Shelby. This is a product I defined to look into. As someone who rescued 2 dogs from a BYB who have a host of issues, it may help them. Your newsletter is always so informative & helpful. Thanks! My dog Archer is not bothered by anything but Luma has a harder time s o it would be wonderful to have something to help her not stress out so much when we go to the vet or other places or things happen around the neighborhood. Have to admit we are anxious about the fourth of July. I rescued my little Pom, a little over a year ago. I thought he came from a decent situation, but, this little guy is afraid of everything. He even will be afraid of the kitchen table when I come in and lay my mail on it – he knows something is different and that makes him afraid. He has come so far since since he came to live with us. He is a very happy little guy, now. But, there is still a lot of fear and anxiety. He has colitis from his nerves and is usually kept under control – but, if we get company, sure enough his colitis acts up. He is petrified of car rides, he always gets sick, in the car. I know it’s more than car sickness because my vet told me to give him Dramamine and he still gets sick – no matter how short of a ride it is. As far a fireworks and thunder – yes, he is scared of any loud noise. But, these noises are the leaest of his issues. With the fireworks and thunder, I can sit with him and turn the tv up, run the ac and other things to drown out the noise. He has so much love in his life, now, but, I still feel so bad for his first 4 years and god only knows what he had to endure, my heart breaks for him. I can’t imagine anyone mistreating this sweet, loving little boy. My Gracie is terrified of THUNDER & FIREWORKS. She is a 70 pound pit mix that you would think is not afraid of anything. She has destroyed 3 crates in 2 years because of thunderstorms that happened when I was a work. I use one of those shirts and that does help somewhat, but we need something else. My olde english bulldog is very stressed by thunder and fireworks. He becomes almost aggressive as he runs back and forth in the yard barking. I would love to try this product to see if it helps calm him in these very stressful situations. My dog has separation anxiety. Very bad from me leaving for awhile. I need this for him. I would love to try this in my multi-dog environment to see if it keeps stress levels down. It would be wonderful if this worked really well! Artie does not like strangers in our home and we will be having company this summer. Family is coming in town and we are celebrating. My dog has been worse about getting left home alone since we moved – especially since there is a lot of construction noise outside (new neighborhood) & I think she thinks we are outside without her.